The stats are in: on an average day, approximately 83% of Boden staffers wear something stripy. The analysis: nothing beats a classic. Honestly, we can't stop talking about this super-soft, long-sleeved cotton top. 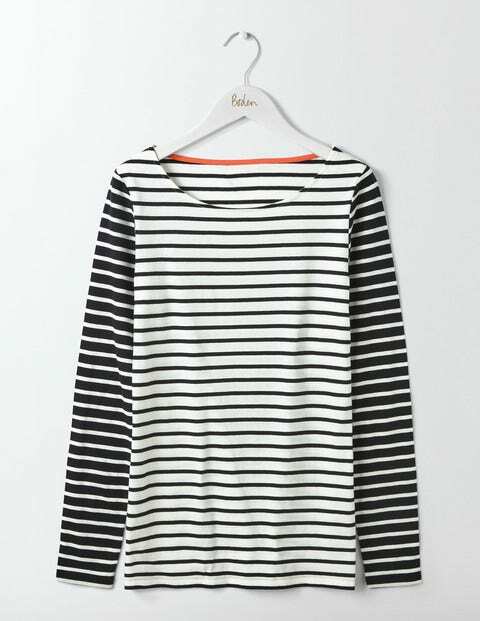 It could be the alluring Frenchness of its Breton stripe, the flattering, semi-fitted shape or the collarbone-skimming bateau neckline. You get the idea.